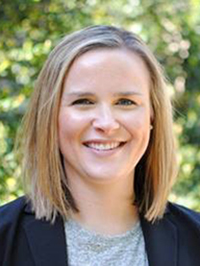 Dana has been working in Research Administration for 10+ years at Duke University. She graduated from Furman University and earned a Masters of Business Administration from East Carolina University with a concentration in Healthcare Administration. She has held positions in the Office of Research Administration, a basic science department, and the Duke Office of Clinical Research before being the first member of RASR in 2016. Dana's favorite part of research administration is the continuous evolution of processes and technology and how we can utilize those advancements to participate in the successful management of faculty portfolios. Dana has two young children and is the wife of a coach so you will often find her at the football field in the fall!